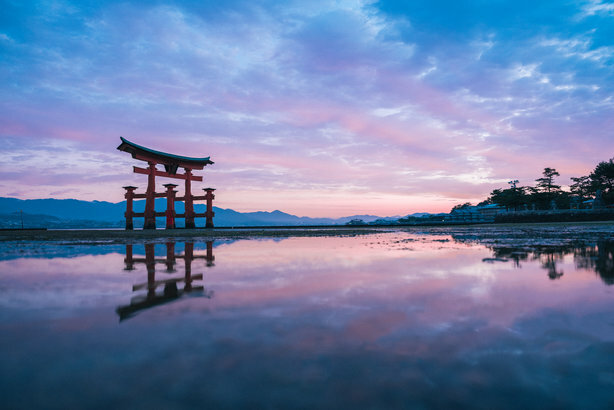 Black Diamond hired as first retained UK PR agency for Japan National Tourism Organization, Consilium advises Sensyne Health, wins for Launch and Wildfire, and more from PRWeek UK. Black Diamond has been appointed by Japan National Tourism Organization (JNTO) to act as its first ever retained public relations agency in the UK following a competitive pitch process. The comms agency will work on events such as the 2019 Rugby World Cup, held in Japan, as well as the Tokyo Olympics in 2020. Tomohide Ichikawa, executive director at JNTO’s London office, commented: "It is our mission to ensure Japan is kept top of mind with the UK consumer and to increase knowledge of the country as a whole, bringing to life the must-see, must-do experiences for British travellers in Japan." Healthcare specialist Consilium Strategic Communications has advised Sensyne Health on its PR and investor relations surrounding the company’s initial public offering on the London Stock Exchange’s AIM market. The successful IPO, which took place last Friday, saw the healthcare technology company raise £60m and become the first clinical AI technology company to join the London Stock Exchange. The company’s founder, Lord Drayson, said: "Consilium have done an outstanding job as communication advisors to Sensyne Health and have proven to be the right team to work with throughout our IPO process. Proactive, professional and thoughtful with the contacts and the experience to guide us through, and the know-how and energy to help deliver a successful result." PR agency Launch has been appointed to lead an integrated comms campaign for Swiss International Air Lines in the UK. It will work with the company’s lead PR agency, Hamburg-based achtung!, to deliver a ‘Moments That Last’ campaign that will launch next month. A key message will be around how travel enriches memories and the campaign will include media relations, as well as influencer activity and advertorials. The account will be led by Launch’s director of brand and content Barbara Watson and account director Yasmin Khostovan. Launch has worked on press and influencer programmes for the airline since 2015 and was appointed last year to develop a content and brand experience to make it the airline of choice for winter holidays. McCain Foodservice has hired food-and-drink specialist PR agency Elliotts to a two-year contract. The brief is to deliver campaigns across trade media, "as well as creating a compelling PR strategy to generate product leads amongst operators", Elliotts said. McCain Foodservice is most know for its chip brands. Technology specialist Wildfire has been appointed by Bellabeat, which sells fitness tracker jewellery, to support the brand’s launch into the UK by raising awareness, supporting retail distribution and driving sales. Wildfire will provide a communication strategy and support for the wellness technology brand to build its profile in the UK. Matt Carter, vice-president of sales for Bellabeat, said: "We are developing a brand and solutions that unobtrusively help women improve their wellbeing and health, and Wildfire demonstrated how they could make Bellabeat a clear voice in this conversation, as well as help us achieve our commercial objectives in this market."